For a limited time, Graber is offering multiple promotional opportunities for you to expand your business! Check out our Fall promotions and the marketing assets below to help grow your sales this coming season! 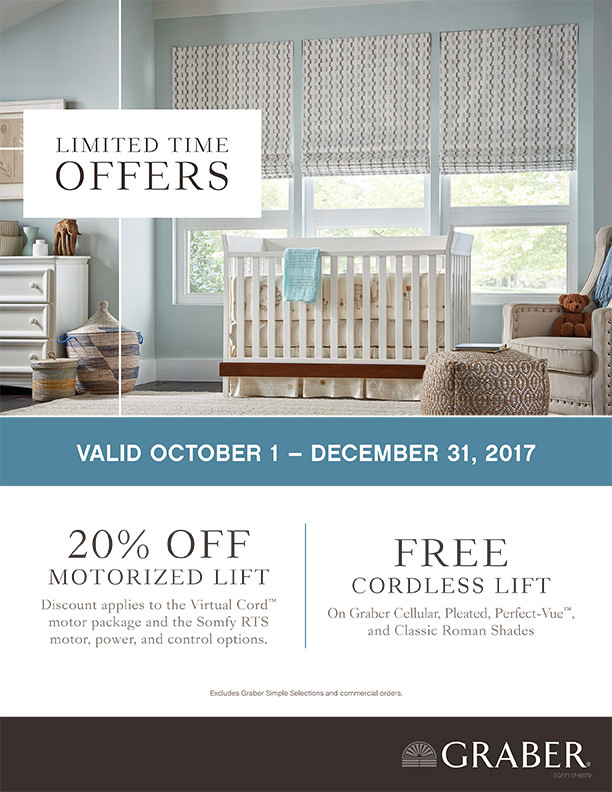 Discount applies to the Virtual Cord motor package and the Somfy RTS motor, power, and control options. Get in touch with our team to learn about the latest treatments.